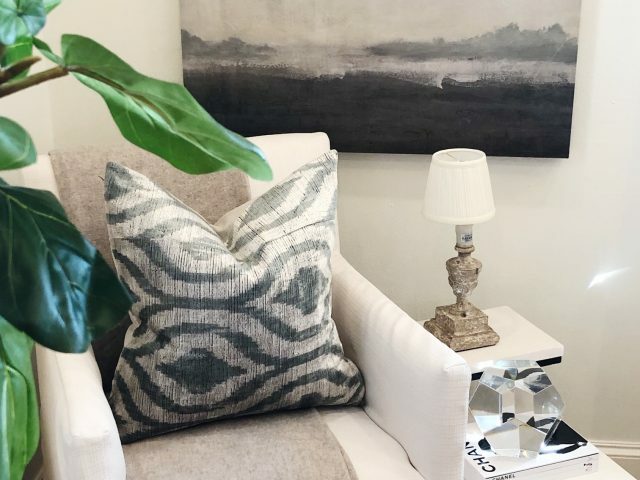 Some of our Dallas Market finds include some fun, unique silk velvet pillows! 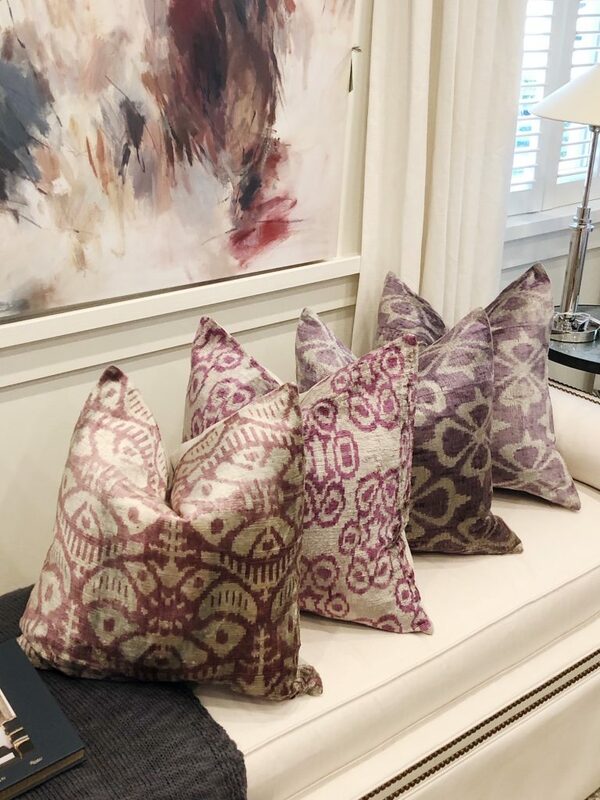 Each pillow is one-of-a-kind as they are hand-loomed and woven. 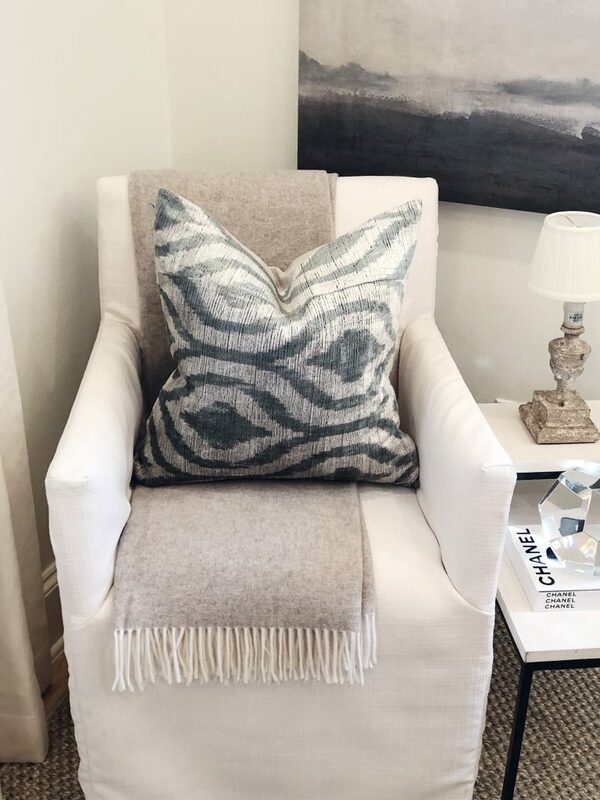 We have these pillows in a stylish color palette including lavender, blues, teals, and black. 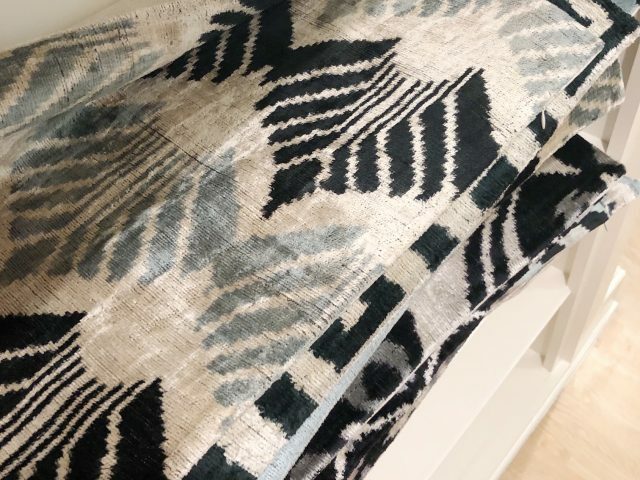 Each color, weave, and pattern tells its very own unique story. Here’s a preview of some of the styles. 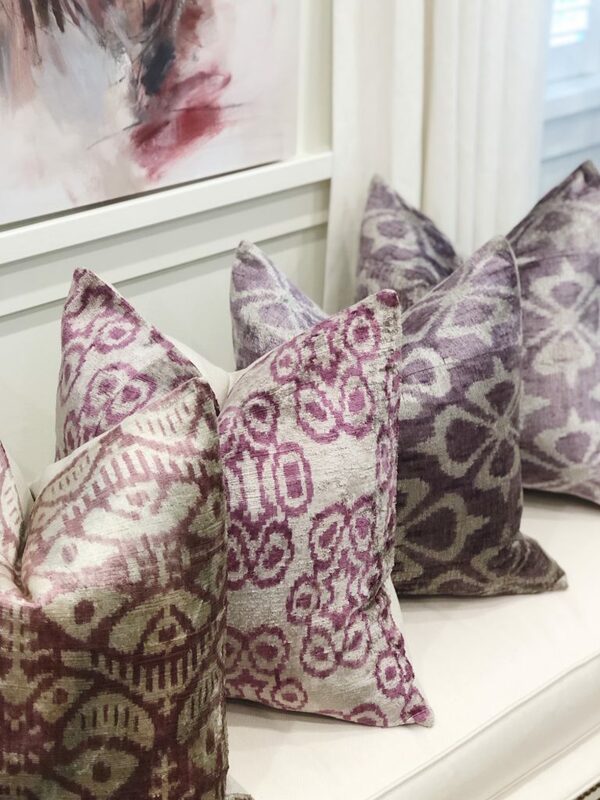 These lavender/berry hued pillows can add a stylish splash of color to any home. These pillows are each 20 x 20 and sell for $185 each. We have some of these silk velvet pillows in other colors, too! This pale ‘mist’ velvet is also 20 x 20 and sells for $185. Here’s a preview of some of the other patterns that we will share with you soon! These silk velvet pillows are a real treasure. They will give your home a quick update with a new pillow story. Stop in and take one (or two) home today!